Herriman, Utah, is a relatively young city nestled in the fast-growing suburbs of Salt Lake City. Likewise, Herriman High School is less than ten years old, and with a young school comes a young, yet exciting, swim team. 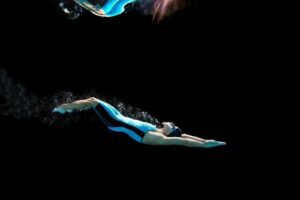 As with many high school teams, the Mustangs swim team has a mix of experienced swimmers and kids who are trying the sport for the first time, many of whom are doing so for a specific reason. 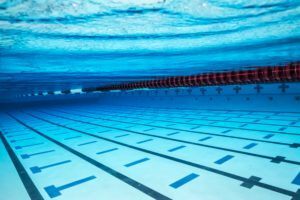 That reason is that the Herriman hosts not just a high school swim team, but also a high school water polo team (along with an associated USA club swimming team). 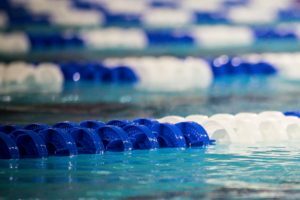 Dr. Michael Goldhardt oversees both the high school swim and water polo teams, and he estimates that roughly 95% of the swim team consists of water polo players. Many of these consider water polo their primary sport, and they join the swim team to keep in shape for water polo season, which is a spring sport in Utah. 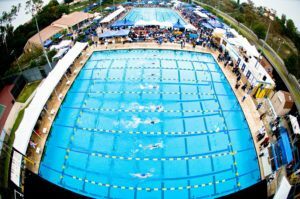 While it can be a bit challenging building a high school team around athletes with limited competitive swimming experience, Goldhardt has embraced water polo’s role in the swimming program, and tries to bring a lot of the competition and excitement that comes with water polo over to the swimming side of the program. Our team does a lot of water polo tournaments in the pre-season and post season of swimming. 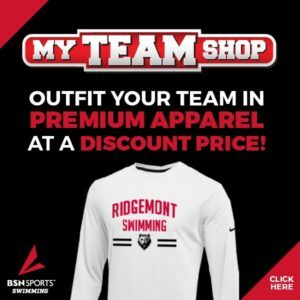 This has actually helped our swim team as it has provided an environment where swimmers are cheering each other on and supporting each other. Even those who don’t play still attend many if not all of the games. With the focus for many of the athletes being on water polo season, Goldhardt strives to emphasize sportsmanship and teamwork during the swim season. We have a unique culture at Herriman High School where we are constantly seeking to make sure every athlete feels like they are an important part of the school and team. 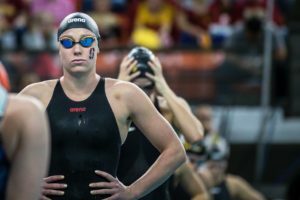 This can be a difficult task with a large team, and I know there are ways I could improve, but the athlete must be more important than the sport. Opposing teams are “warned” beforehand that the Herriman swimmers will be cheering hard for both teams, and will line up to shake hands after the meet, something else that Goldhardt credits to the water polo background. That’s not say to that swimming takes a back seat to water polo in this program, especially in terms of commitment. Swimmers have to wake up well before dawn for morning practices than run from 5-6:30am. 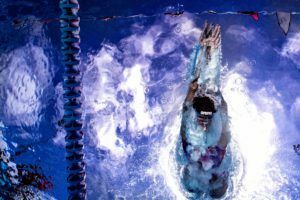 There’s regular afternoon weightlifting sessions, and many of the swimmers are also part of the Herriman USA Swimming club team as well, which practices in the afternoons. 5×15 M. Host streamline for 5 seconds then breakout. 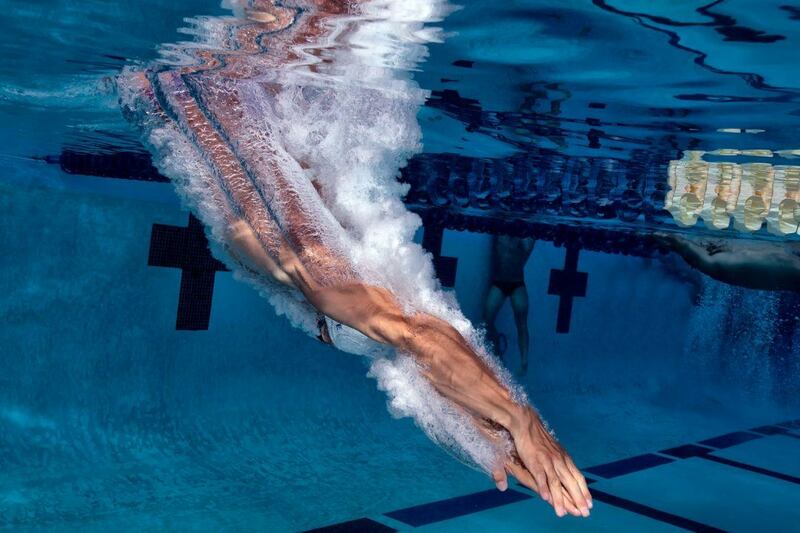 Evens – Fins on sprint free. Additionally, this is a team that truly embraces the idea of being scholar-athletes. 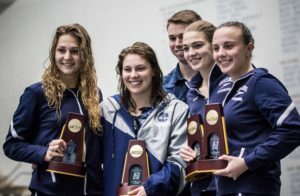 The team has the best team GPA in the school, and they have several of the water polo players be named USA Water Polo Academic All-Americans last year. 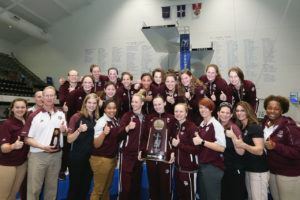 While Goldhardt may keep the emphasis on the team building and academic success, the Mustangs have definitely seen a good deal of success over the last decade. They’ve had several individual state champions, and last year both the boys and girls teams placed in the top 15 at the Utah 5A State Championships. With a great team culture and lots of hard work, the Herriman High School Mustangs are set for success in the upcoming championship season, and beyond.